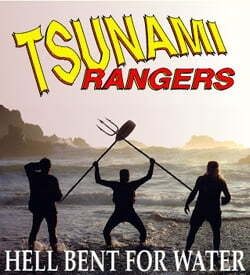 NOTICE: The Tsunami Rangers are looking for new members. Ideal candidates will be strong, bold, courageous, fun-loving, adventurous and love water, kayak well, be proficient at many outdoor activities, be individualistic and a team player, a fast learner, and a true friend. And young—18 to 21. That’s right. We want the next generation of paddlers to take what we know about paddling in ocean rock gardens and stride into the future. We have too many older Tsunami Rangers who are on the way out, not up. And while we cherish the wisdom and skills of our elders, we know it is time to get new blood. Frankly, we are looking to recruit our kids and grandkids! 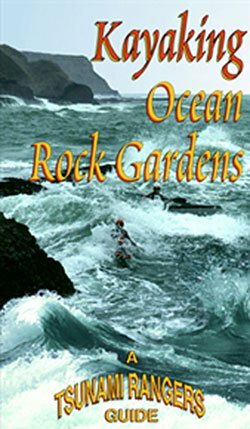 The mission of the Tsunami Rangers is to explore surf and rock gardens—that is, coastlines, the more rugged, the better. We also further the sport and lifestyle of coastal kayaking and educate interested paddlers who want to go beyond their current skill level. Not a club with dues and social interaction, we’re a team and recruit people with mutual interests after we’ve paddled with them in various kayaking environments for a year or more. At the right time, after much practice in controlled conditions, we offer them a chance to formally prove their mettle and become a Tsunami Ranger officer. For fun, but also to reward merit and acknowledge skills, we give naval ranks to candidates who pass our officer test. The test lasts one or two days and consists of answering scenario questions, performing rolls and rescues, swimming and surfing, paddling in rock gardens and caves, and leading missions through same. Afterward, we debrief the candidate and give a rank commensurate with demonstrated abilities. Rank is a badge of honor, and says they are full-fledged waterwomen or men, akin to a fighter pilot being given his wings. Regrettably, you can’t just sign up and join us. We are exclusive and have only a dozen operational officers at any given time. 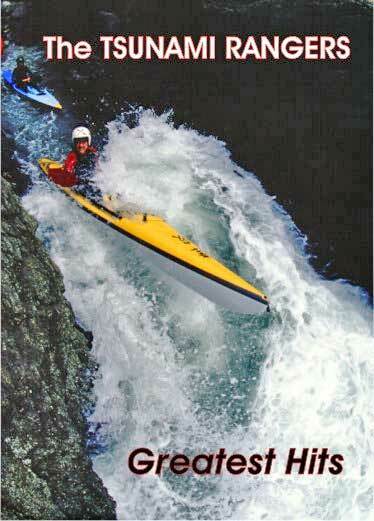 We’ve had to pass up many great kayakers for various reasons. If you are a competent coastline paddler, it’s highly unlikely you will become a Tsunami Ranger because the stars must be aligned for everything to click. 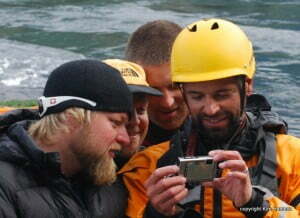 But there is nothing stopping you from forming your own ocean whitewater adventure team. Why not? 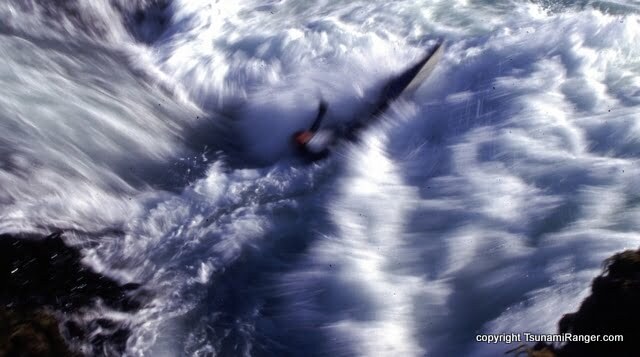 In winter 1984, I met Steve Sinclair and his gnarly team of storm sea skiers in Elk, California. They called themselves Force 10, because they kayak far out to sea in force 10 conditions (that is, wind whips at 60mph and waves crest up to 40-feet high). I was so impressed with them that a year later Jim Kakuk and I formed the Tsunami Rangers, who specialized in navigating rock gardens. Over the next decade, two more northern California teams arose—the Slackwater Yacht Club, an ironic name for guys who race kayaks in roughwater conditions; and the Banzai Bozos, a band of outlaw kayakers who paddled the same waters we did but with (even more) reckless abandon. Though we competed against Force 10, SYC and the Bozos in races and contests, the bottom line was we were all friends and admired each other. I have caught wind of other adventure teams forming here and there. And I encourage them all. 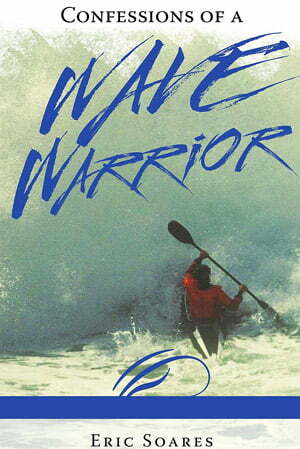 The latest ocean whitewater team I have just become acquainted with is The Hurricane Riders, based in Vancouver, Canada. At their website at www.hurricaneriders.com you can read their mission statement “…paddle in rough water, tidal currents, wind and surf” and watch their YouTube videos of them doing same in places like Skookumchuck. I met THR member Rowan Gloag at the Golden Gate Sea Kayak Symposium a couple of weeks ago and admired his gung ho spirit. 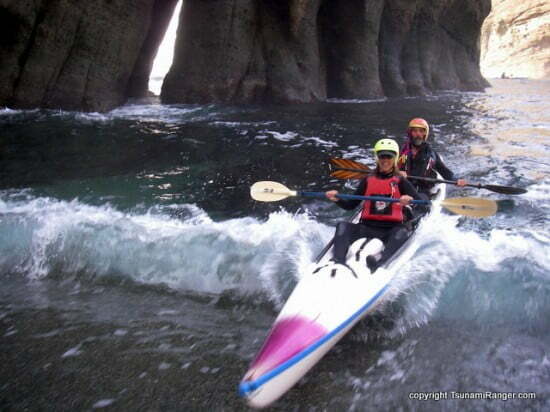 I was immediately inspired to make a public challenge to his team and to all coastal kayaking tribes who enjoy a quest. 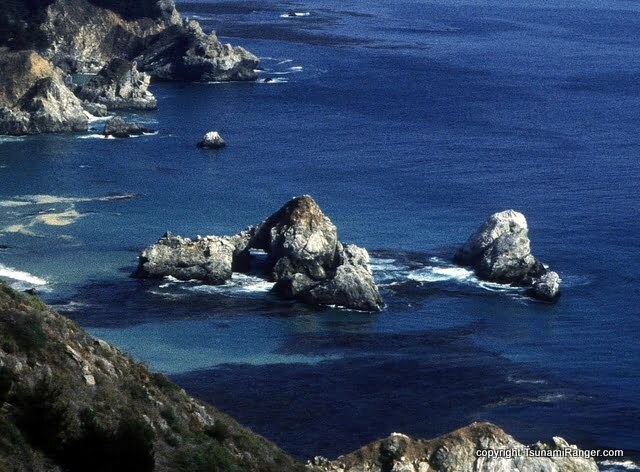 About 25 years ago, Tsunami Rangers Jim Kakuk, Glenn Gilchrist, and I toured down the northern and central Big Sur coast. We camped at a hidden little beach, fished for ling cod, and explored in detail the complex rock garden we named Neptune’s Castle. We climbed the pyramidal islet (see the photo), and placed a bottle with a message in it on top. We have not been there since. The challenge is for your team to locate Neptune’s Castle, kayak to the Castle, scale its walls, find the bottle, insert a new message in the bottle to accompany what is there, and take a picture proving it. Whoever accomplishes this noble quest within one year will be given a boon by the Tsunami Rangers. So says Neptune. A challenge, a quest of this nature is what teamwork is all about. First, Neptune’s Castle must be found. That will entail map work and route planning. Then, to make it truly worthwhile, a team must prepare for and embark upon a short expedition, both on the road and water. Once Neptune’s Castle is discovered (by kayak, of course), a tactical plan must be formulated and executed. When on top of the rock, what will you write? And, for documentation, remember to take pictures and video while you ply the gauntlet, passageways and nearby boomers in the beautiful rock garden of Neptune’s Castle. If you and your team intend to accept the mission and undertake the Big Sur Challenge, let us know by posting a comment directly below this notice. Anyone who wants to comment on any of the above, or ask a question about the Rangers or any of the teams mentioned, please do so by tapping the comment button below and writing your words. 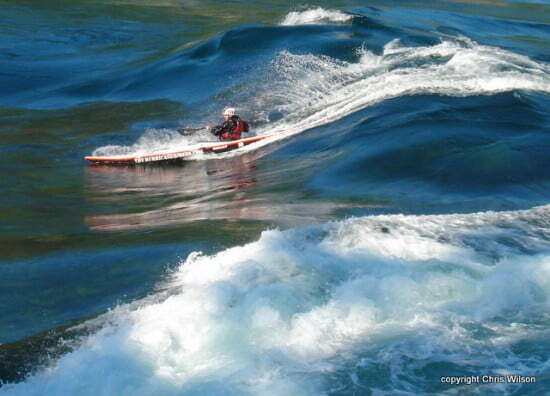 I would love to hear from any wild sea kayaking teams out there anywhere in the Blue World. It is my opinion that Neptune’s Rangers have succeeded in the quest to scale the castle. Long live Neptune’s Rangers! G-r-o-o-v-y! So who are you paddling with? On June 8th, 2013 the Mermaid Mission crew (nom de guerre: Water Bear, Merkanzer, The Baffinist, Sea Lincoln and Turtle Love) set out against 20 knot winds south from Stillwater Cove, making meager progress to an undisclosed rogue campsite. The ultimate goal: Neptune’s Castle. Modifying their plan, but still pushing against a strong southerly wind from a low pressure, the kayaking mariners landed in medium swell to camp about 15 miles south along the Big Sur Coast the 2nd night. On the 3rd day, the winds gave passage… After a beautiful leisurely day past Point Sur, in the late afternoon, with 2 of the team admirably bowing out to support an end-of-trip transit pick-up plan, the other 3 arrived at Neptune’s Castle at sunset, sprinting against slighter southerly winds and mixed South and North-west sea swell. Using the expected ubiquity of numerous nesting shore birds atop Neptune’s Castle as a convenient excuse to NOT have to scale the slippery aromatic guano-laden rocky islets, the Mermaid Mission crew hid a treasure nearby that contains a new wider challenge to the next adventurous crew that seeks and discovers it. The only tip of where to find this challenge – is the rope and tree in this picture taken near Neptune’s Castle. Are you guys on FB? If so, let us know. Congratulations on completing your mission. Glad you found the Castle – I wonder if anyone will take up the challenge. Neptune’s Rangers? I could almost see the rum bottle in a couple of those pictures. The cormorant was sitting on it I think. The rum bottle needs replacing. On Labor Day weekend, Bryant Cannon, Steve Huffstader and Alan Marshall camped on the beach just north of Netptune’s Castle and Alan scaled it in the morning, leaving a small written message and finding no rum.